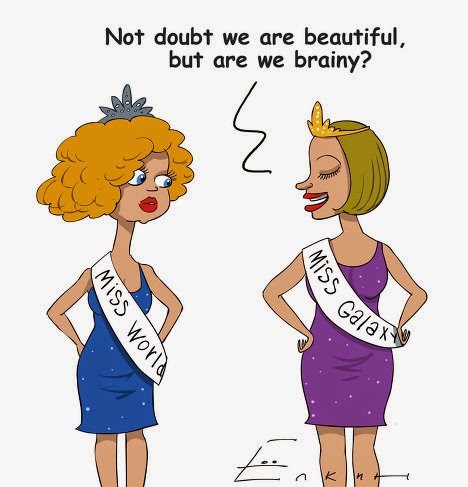 If you were given the choice to choose only one between beauty and brains... what would your decision be? I'm talking about this topic through a more " materialistic" manner. Beauty as in physically.. not mentally. Have you ever heard of the saying " Intelligence is in the eye of the beholder"? No no no of course not! It doesn't make any sense, neither does it exist. Intelligence is infinite, there's no major argument for it. You might choose intelligence because it is the wisest out of the two options. But of course.. no one in this universe possesses only one good quality. We are all "divergent" . I choose BRAINs. Because without brains you die.. no point being a beauty if even prince charming cannot revive you with his " true love" kiss. I spoke about this topic briefly in a post as well, but you're a lot more in-depth about it. I find it fascinating how some people prioritise beauty, but that's just the way the world works. Some will rather be beautiful, others will prefer to be intelligence. I, if I were to give up one, would have a difficult time choosing to be honest, but I think I'd end up choosing intelligence- beauty is only on the outside, and can easily be changed. To be clever is a personality trait, so by default it's a lot more important (in my opinion). Brains all the way. You can't compensate for a lack of intelligence whereas with any flaws you can conceal them. And these no problem with having imperfections or flaws. Lovely upbeat post. I followed you back.